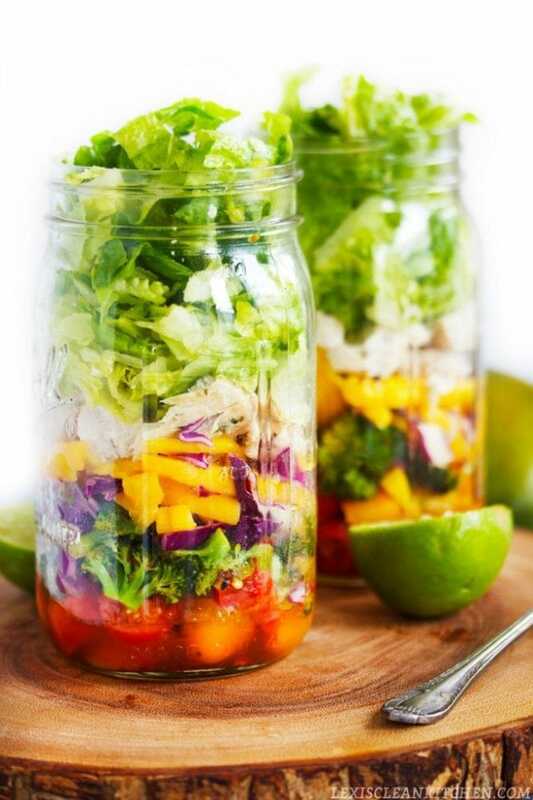 Summer is almost here and it’s time to hop on the mason jar salad meal prep train! 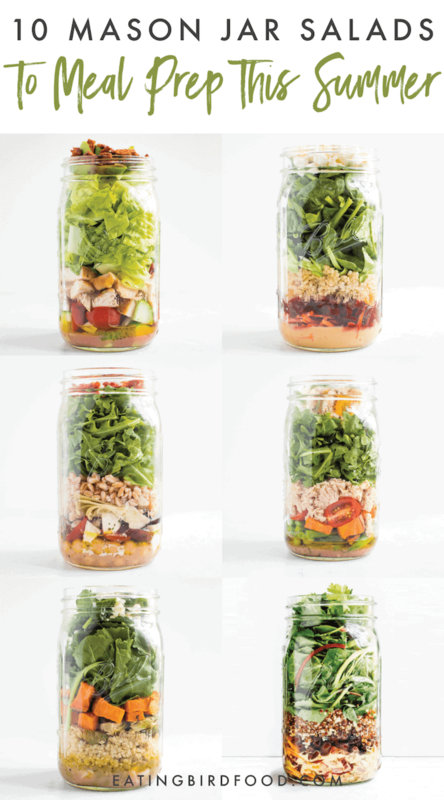 I’ve got 10 amazing mason jar salads that are easy to prep and loaded with flavor. 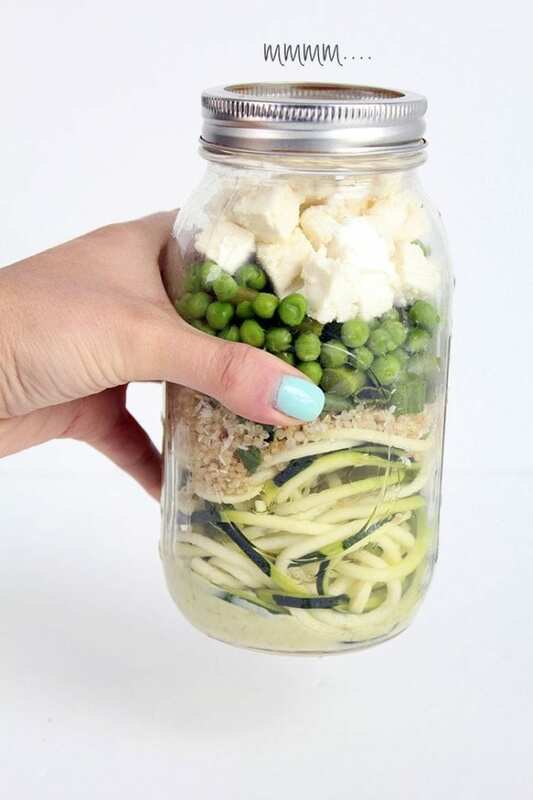 No more salad work lunches! Salad Week has come to a close and I have to be honest, I’m a little sad about it! I LOVED putting together all the recipes and hosting the challenge. Logging on to Instagram and Facebook each morning and seeing all of your creations made me so happy. 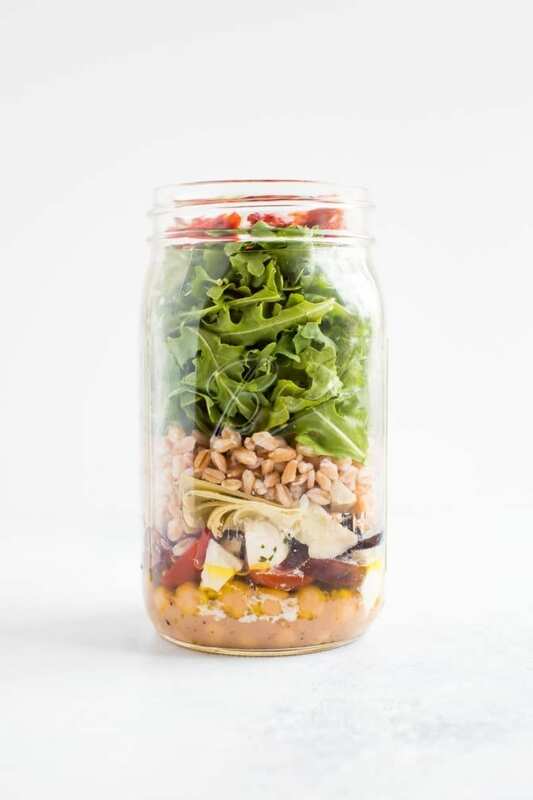 The#saladeveryday movement is growing stronger than ever. Making me so proud! 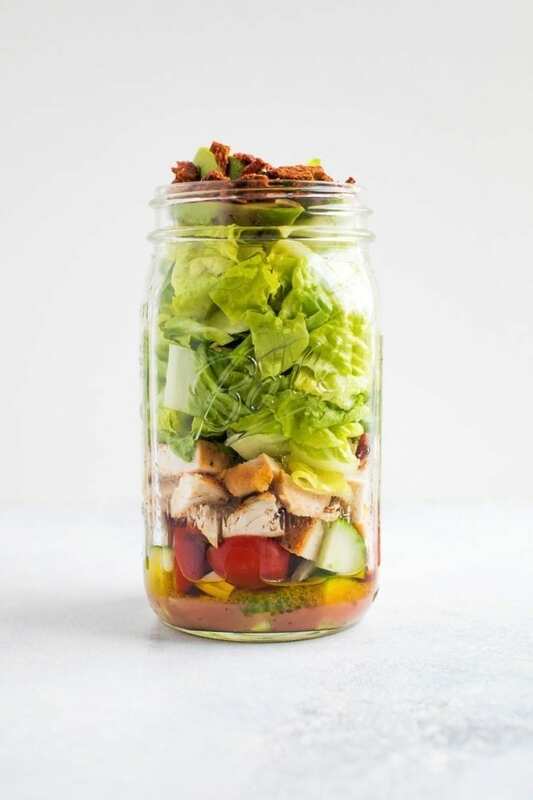 I wanted to close out the week with a concise round up of mason jar salads you’ll want to prep this summer — you’ll see some of mine and some from my foodie friends. Enjoy! 1. 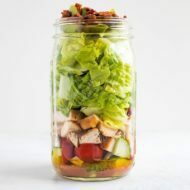 Chicken Avocado Club Salad — I turned a classic sammie into a salad and the combo is out of this world delish! 2. 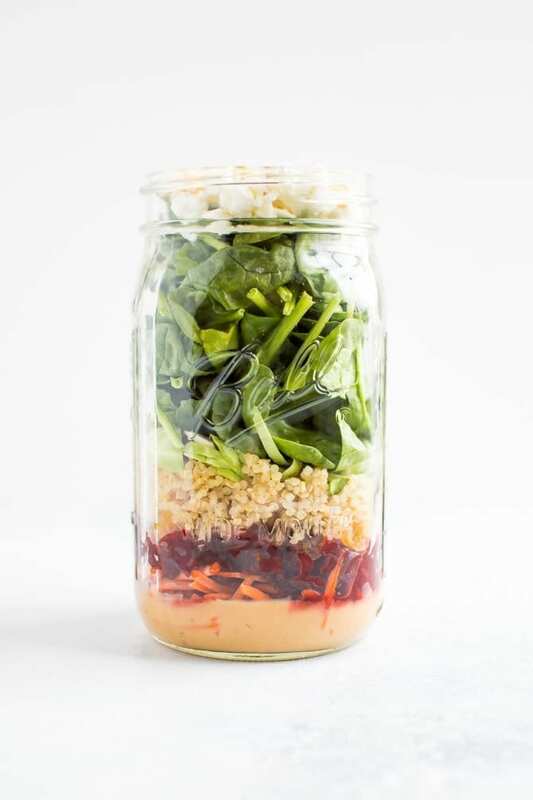 Beet Power Salad — beets and goat cheese… need I say more? 3. Mediterranean Farro Salad — the ancient grain farro is back and just dying to be used in your next salad. This combo is one of my favorite. I love the sun-dried tomatoes. 4. 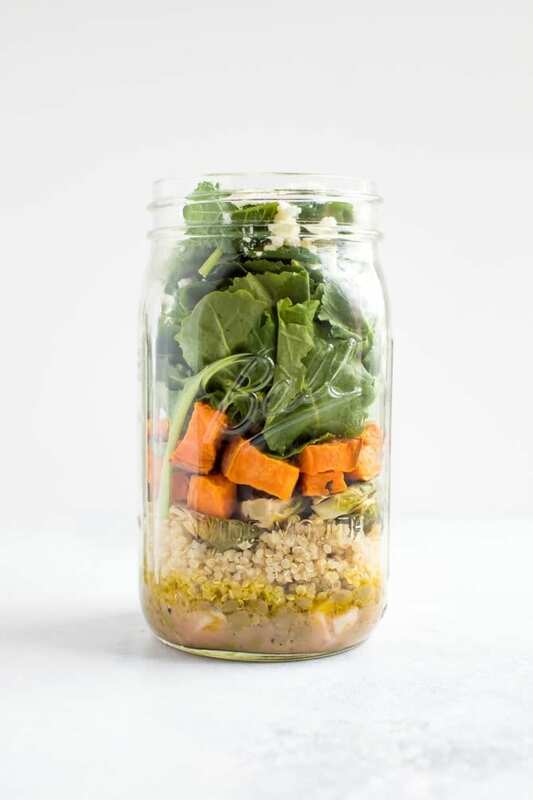 Kale Sweet Potato Lentil Salad — adding roasted veggies to a salad is a total game changer, especially when sweet potatoes and brussels sprouts are involved. 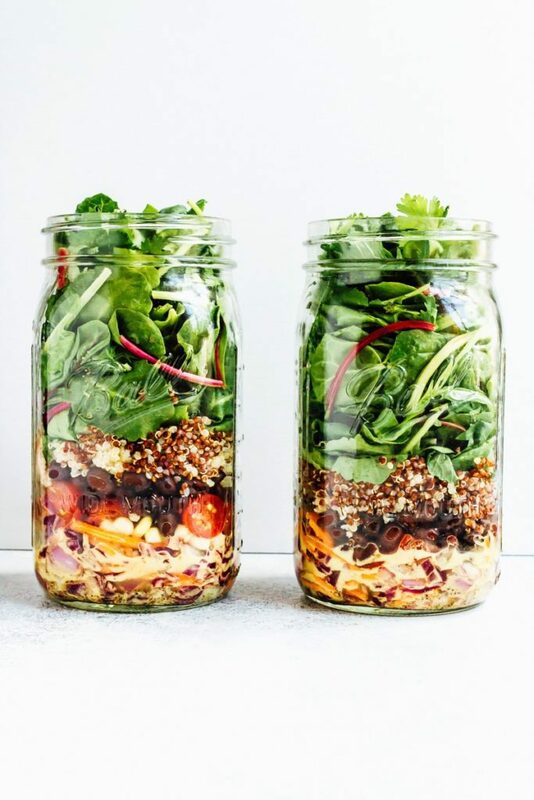 PS – This salad packs over 25 grams of plant-based protein! 5. 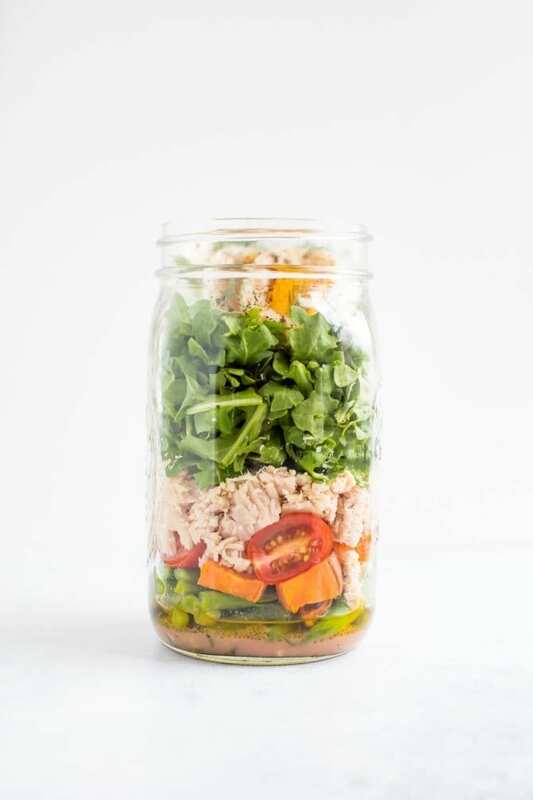 Nicoise Salad — an EBF spin on the tried and true classic. I love using roasted sweet potatoes instead of white potatoes! 6. 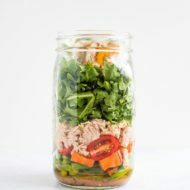 Fiesta Mason Jar Salad — THE mason jar salad that made me fall in love with mason jar salads… IMHO! This is a great one to start with. 7. 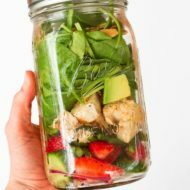 Strawberry Spinach Mason Jar Salad with Citrus Poppyseed Dressing — strawberries, spinach and poppyseed dressing… the perfect trio. 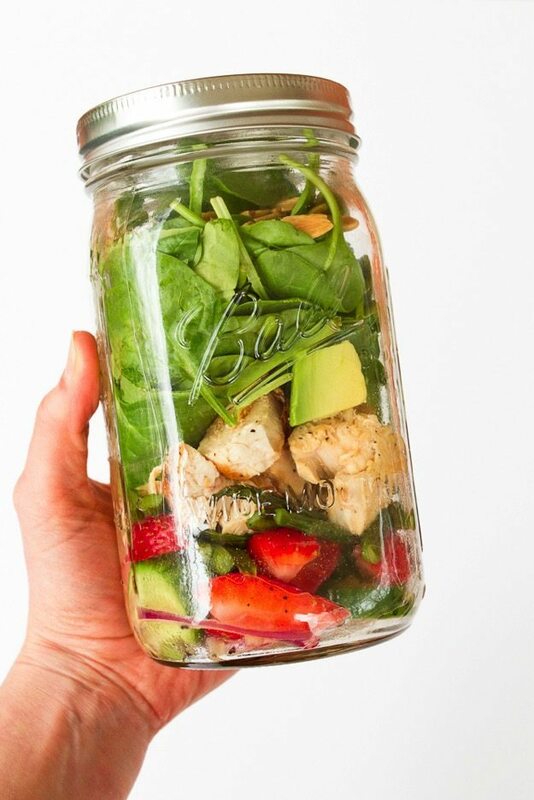 Have you ever meal prepped mason jar salads before? If so, what’s your favorite combo? Hi! Quick question. 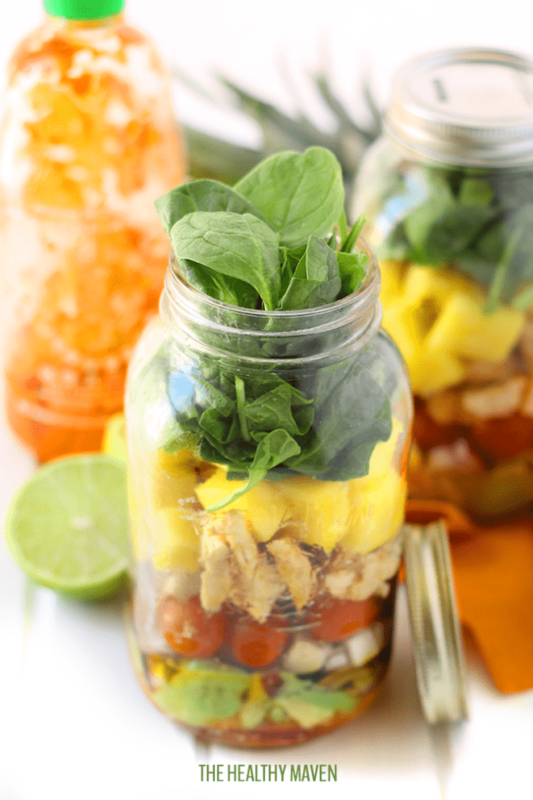 What size are these mason jars? And are they wide mouth or regular? Thanks!! P.S. I am coming to your workout on Saturday! Can’t wait! 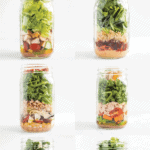 They are the quart-size wide mouth mason jars. And yay!! I’m so excited for the workout and can’t wait to meet you. See ya soon. What size are the jars in ml?